Welcome to a brand new series! Seen as you all loved my DIY in Blogmas so much, I’ve decided to make a mini series out of it. I’m no expert, but I promise I’ll try. Today I’m going to be trying out a DIY method that I discovered on the wonderful world of Pinterest. I’m not gonna lie, it went a little bit wrong, but OH WELL! Firstly, fill a bowl with warm water. Then create a pattern by dropping in the nail varnish, a little at a time is best. Finally, roll your mug in the floating nail varnish. Seems simple right? You’d be wrong. Not quite the pretty picture I was expecting! My tips for getting this right would be to work out how you’re going to roll your mug in the floating nail varnish before you do it. Try and do the handle (and your hand!) last, so that you don’t end up with nail varnish EVERYWHERE. I’m definitely going to give this one another go, but I need to get a new mug first, oops! You can read the original post that I found on Pinterest HERE. Yay, I love DIY posts and this was no exception! I think your mug came out beautifully! I love the colours that you chose! 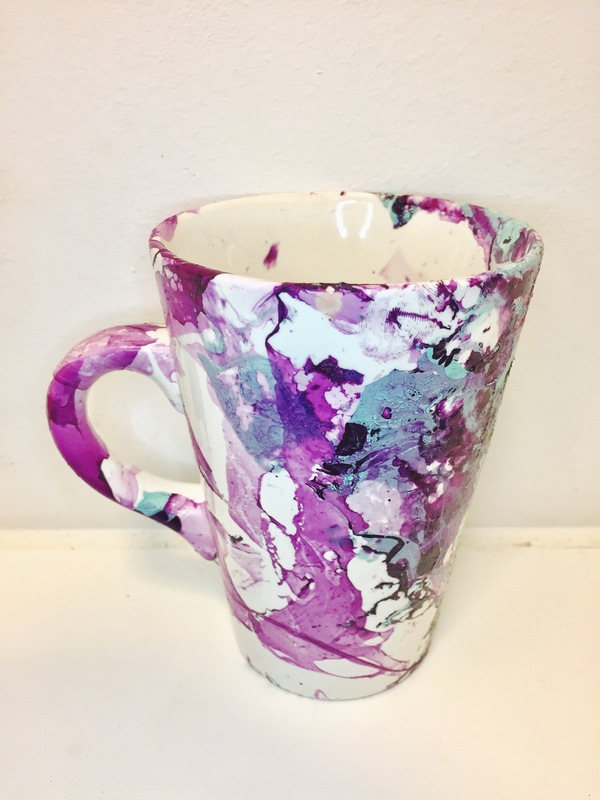 It sounds like it’d be really hard to stop the water going inside the mug, Pinterest can definitely be a bit unrealistic sometimes haha! I still think that this is really pretty though, do you think that the nail varnish would stay put if you washed it in the dishwasher? DIY posts are the best, and I’m so excited for this series to happen. Pinterest is always such a great go to for inspiration! Your attempt looks pretty good to me, make a few more and there’s some personal gifts all ready! I’ve seen this as a YT tutorial too, it seems really popular at the moment. I think your effort is really pretty! Can’t wait for your next DIY posts, can’t beat a DIY, I love them!